Google is coming with the latest version of the Android OS. According to the various online sources Google has given the name “Lollipop” to its fresh version. As all we know, Google has been following an alphabetic order for naming its Android versions as Cupcake (1.5), Doughnut (1.6), Eclair (2.0–2.1) Froyo (2.2–2.2.3) Ginger bread (2.3–2.3.7), Honeycomb (3.0–3.2.6), Ice Cream Sandwich (4.0–4.0.4), Jelly Bean (4.1–4.3.1) and KitKat (4.4–4.4.4) Google is expected to unveil Lollipop at Google Developer’s Conference in San Francisco on June 25th. From the advent of the Kitkat version there were rumors about the new Android form. 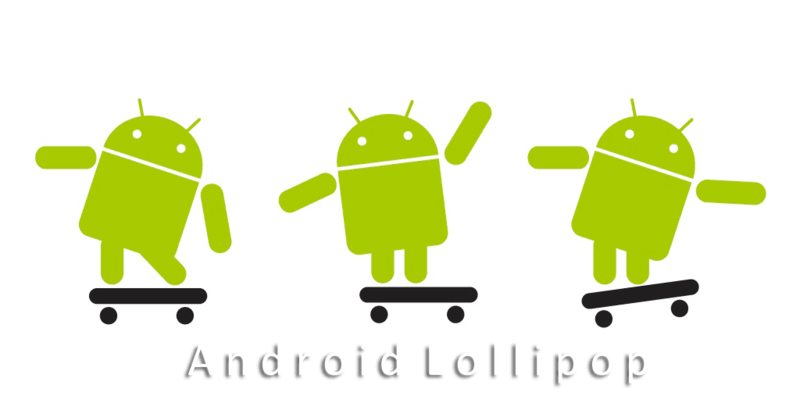 It is reported that the novel version will appear with the name of Android 5.0 Lollipop. But there is no official announcement of the new version as whether it is 4.5 or 5.0. Google gave a hint about the new arrival by posting the picture of three smartphones with the time 5.00pm. Furthermore, the Android Police has released a"Quantum Paper", Google’s design framework, having information about the advent of a major remodel entitled "Android L."
Let us wait for three days to go.